WOWZA. This picture leaves me speechless! That chin. The cheekbones. Those lips!! 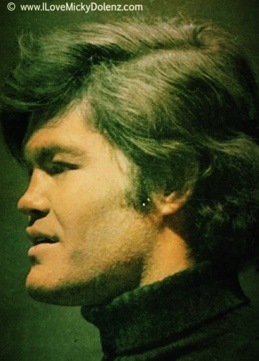 Micky Dolenz looks great at EVERY angle! Thanks for this awesome Micky collection! I’m really enjoying your posts. And, I couldn’t agree more with the awesomeness of this photo!